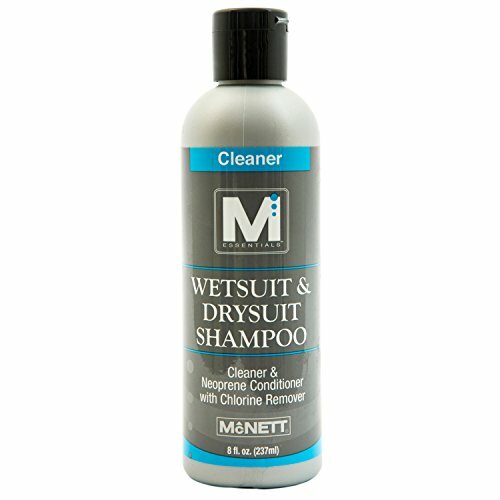 Use Wetsuit and Drysuit Shampoo by M Essentials on booties, gloves, fishing waders, LYCRA body wear, and of course, wetsuits and drysuits. Our Wetsuit and Drysuit Shampoo works fast to remove organic residues like algae and bacteria, plus chlorine and salt deposits—so your neoprene gear smells fresher, stays supple and lasts much longer. 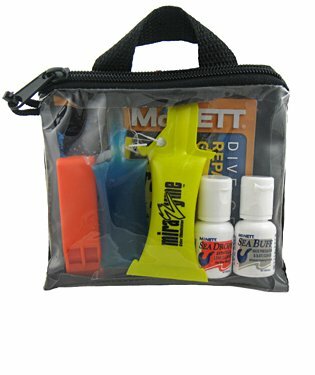 Part of the McNett family of brands, M Essentials features an assortment of reliable products designed to repair and maintain the life of water sports gear. For over three decades McNett has been providing you with the Essentials for Adventure. 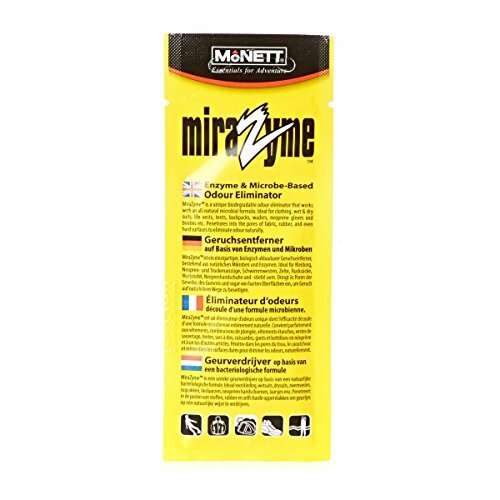 MiraZyme by M Essentials is a powerful blend of microbes that quickly and easily eliminate odors, so your dive equipment, watersports gear and footwear smells fresh and clean again. Mildew smell, pet odor, mold odor and other unpleasant aromas can ruin expensive gear. Instead of covering up odors, MiraZyme’s naturally occurring microbes remove the bacteria that cause them. So you can keep using and enjoying your gear. Safe enough you can even use it to de-skunk your pets! Part of the McNett family of brands, M Essentials features an assortment of reliable products designed to repair and maintain the life of water sports gear. For over three decades McNett has been providing you with the Essentials for Adventure. 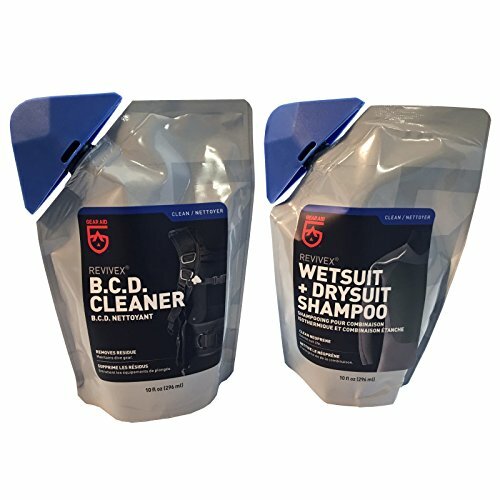 Keep your dive equipment clean and extend its life with the McNett M Essentials Wetsuit/Drysuit Shampoo & BC Life Bundle!The Wetsuit/Drysuit Shampoo can be used on booties, gloves, LYCRA body wear, fishing waders and of course your wet/drysuits. It works fast to remove organic residues like bacteria and algae as well as salt deposits and chlorine so your neoprene gear stays supple, smells better and will last much longer. BC Life will make it quick and easy for you to clean and condition all types of BCDs. The complete and balanced maintenance system effectively removes chlorine crystals and salt from the inside of the bladder and will break the salt and chlorine down on the outside as well. BC Life is made of silicone conditioning formula to extend the life of all BCD parts from valves and the shell to rubber fittings. It is safe to use on all scuba gear. 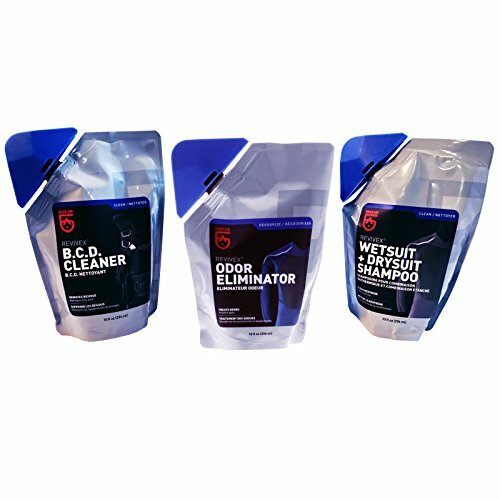 Make sure to grab this cleaner bundle set before your next dive! Complete, scientifically balanced maintenance system for all neoprene and watersports gear. Ideal for wet suits, dry suits, boots and gloves, fishing waders, orthopedic supports, lycra body suits and more. Leaves neoprene articles free of organic residue, chlorine and salt deposits. Chlorine-removing agents and conditioners help prevent premature aging and oxidation. Bathtub or Container Cleaning: With cap in closed position, mix 2 inner capfuls (1/2oz.) per 1 gallon of cold or warm water. Wash by hand with kneading motion. Rinse thoroughly. Push cap to close prior to storage. Spot Cleaning: Use full strength on heavily soiled areas. Work shampoo in with fingertips. Rinse thoroughly. Rinsing: Always rinse thoroughly in fresh water. For added conditioning power, add 2 inner capfuls of Silicone Pump conditioner to rinse water. 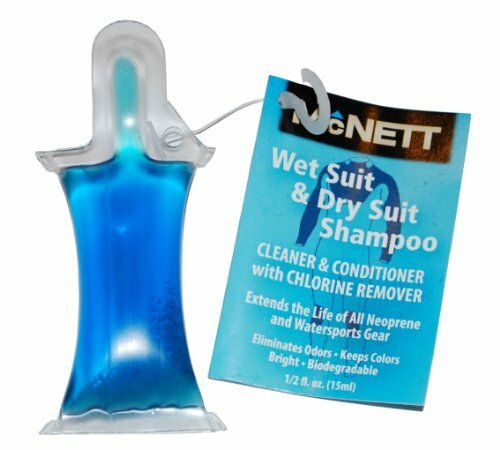 Keep your Wetsuits clean and protected with this Wetsuit Shampoo from McNett. Scientifically balanced for all neoprene and water sports gear.Ideal for wet suits, dry suits, boots and gloves, fishing waders, orthopedic supports, lycra body suits and more! Leaves neoprene articles free of organic residue, chlorine and salt deposits. Chlorine-removing agents and conditioners help prevent premature aging and oxidation. Ensure you rinse thoroughly with fresh water for best results. 250ml Bottle. * 100% Natural , 100% Biodegradable;* 1 x Travel Size: 15ml;* 100% Microbial Formula;* Enzyme & Microbe-Based Odour Eliminator suitable for Wetsuits, Dry Suits, Sports Gear. 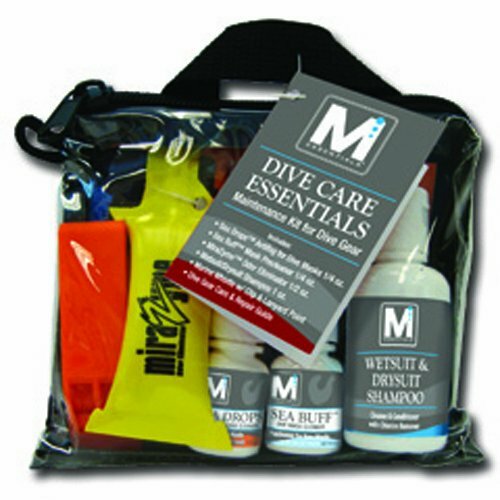 This is an awesome McNett Beginner Open Water Scuba Dive Care Value Pack It Features: * Sea Drops: Antifog for Dive Mask (1/4oz) * Sea Buff: Mask Precleaner (1/4oz) * MiraZyme: Odor Eliminator Wash (1/2oz) * Wetsuit/Drysuit Shampoo (1.5oz) * Marine Whistle w/Clip & Lanyard Point * Dive Gear Care & Repair Guide This is an excellent kit to get a new diver all set with some ofter forgotten essentials! 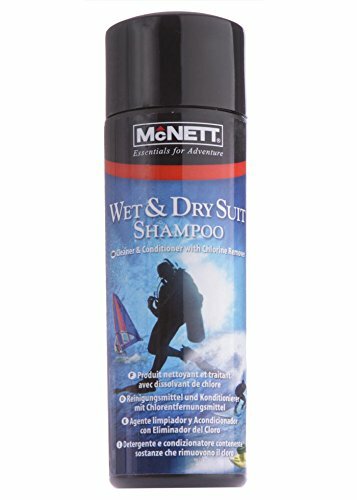 Copyright © Wholesalion.com 2019 - The Best Prices On Mcnett Wetsuit Shampoo Online.